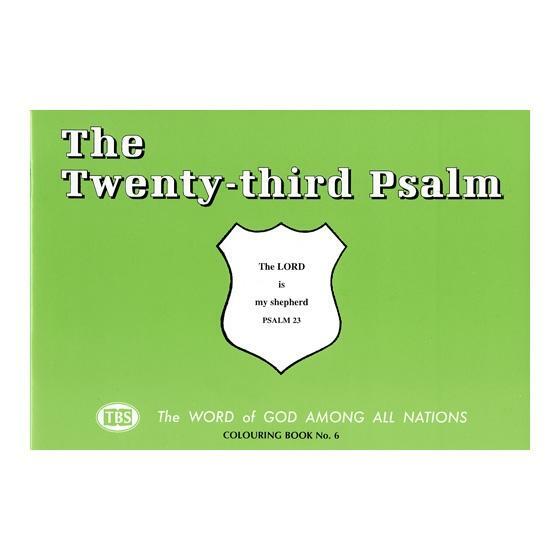 Low-cost colouring book for all ages focusing on the Twenty-third Psalm. Contains 14 plus pages of texts and illustrations for colouring. Popular A5 size. Colouring Book: The 23rd Psalm by Trinitarian was published by Trinitarian in July 1996 and is our 2707th best seller. The ISBN for Colouring Book: The 23rd Psalm is 9781862280892. Be the first to review Colouring Book: The 23rd Psalm! Got a question? No problem! Just click here to ask us about Colouring Book: The 23rd Psalm.